In my article Turkish, Greek And Tesla Streams Re-routing Energy Supply In Eastern Europe how new Turk(ish) Stream pipeline is re-routing the energy supply in whole Eastern Europe with Greek and Tesla [Balkan] Stream gas pipelines. 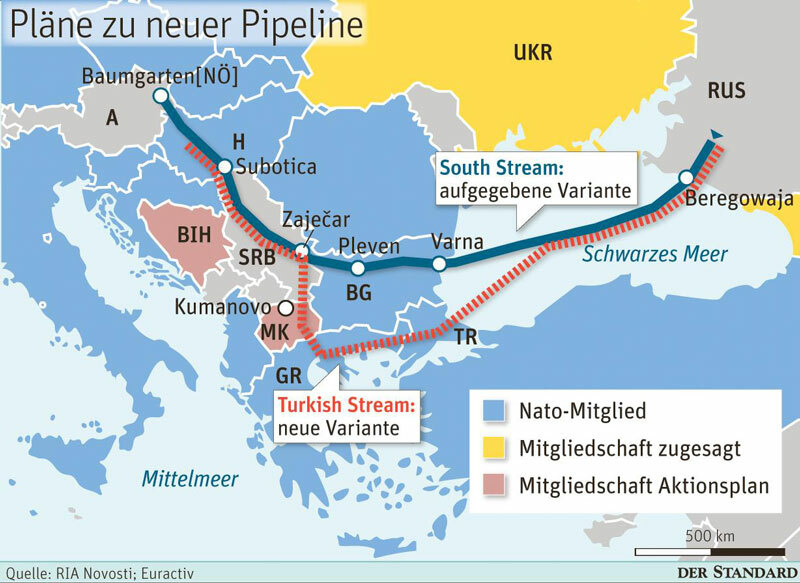 South Stream, was cancelled last December (2014) after Bulgaria (influenced by the EU acting on behalf of the US) made it impossible to construct the pipeline through its territory. 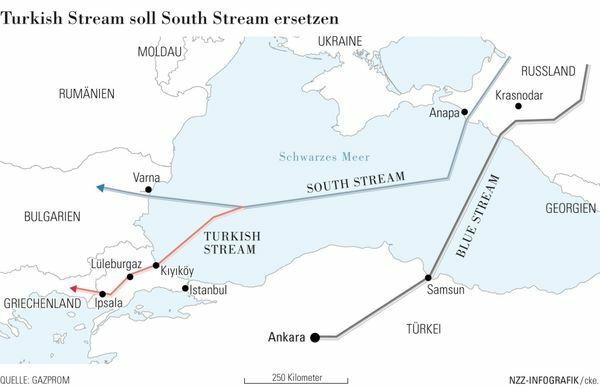 South Stream project was replaced with ‘Turkish Stream’, the Russian pipeline to Turkey’s Eastern Thrace region and from there with ‘Greek’, ‘Tesla’ (or ‘Balkan’) Streams intended to South Stream’s Serbian, Hungarian, and Austrian partners, but detouring through Greece and Macedonia to compensate for the exclusion of Bulgaria. At the same time, several observers say that South Stream has a good chance of being revived. Since there’s been no official cancellation of the South Stream cooperation from Moscow, Bulgaria assumes that the project can still be saved. Speculation about a revival appears to have come from a source in Moscow. Russia needs the pipelines as a tool to assert political pressure. And Bulgaria could play a role in these plans. (Source: DW ). 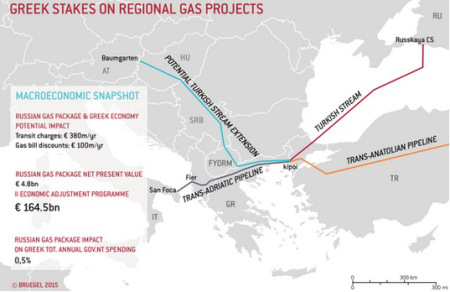 European nations could buy gas from a terminal at the Greco-Turkish border, in what was interpreted as a vague hint that such purchases could either be LNG or possibly even the start of a brand new pipeline. Anyway with these plans Turk(ish) Stream and its follow-ups are according EU regulations. The obstacle of South Stream was the EU’s Third Energy Package (TEP). Under these rules, a single company cannot own the pipeline through which it also supplies gas. According Natural Gas Europe Bulgarian Energy Minister Temenuzhka Petkova has announced new efforts to push forward with South Stream, recently telling local media the project still remains a major goal for the country. She also said that the country’s has never walked out of the South Stream project. Kiril Domuschiev, head of the Confederation of Employers and Industrialists in Bulgaria, noted that pipework for South Stream could also be used for Turkish Stream or any other project involving both Bulgaria and Gazprom. He added that no one would stop Bulgaria from doing business with Russia. Energy expert Professor Atanas Tasev said in an interview for FOCUS News Agency , that “Both countries [Bulgaria, Russia] seem to have the intention. It remains Brussels to come out with a stance on the matter. Perhaps we will witness favourable processes in resolving the conflict in Ukraine,” “Many steps should follow from now on,” he added and stressed that the first official reaction from the Bulgaria came from Energy Minister Temenuzhka Petkova, who said that our country is ready. Nonetheless Greece, FYROM, Serbia, and Hungary are on the verge of signing a joint memorandum of cooperation on Turkish Stream and its Balkan route. Serbian media have already named part of the route as the “Tesla Pipeline” in an obvious attempt to “nationalize” the section that will pass through Serbia. Insiders suggest the Greek, Serbian, and Hungarian foreign ministers will meet in Belgrade in September to announce an agreement that will see the exact route formalized. It should be noted the foreign ministers, not energy ministers, have taken the lead on this file. (Source: Natural Gas Europe ) Latest developments with Tesla Stream wouldn’t have been possible had Macedonia not beaten back the Color Revolution attempt that aimed to sabotage the entire thing. 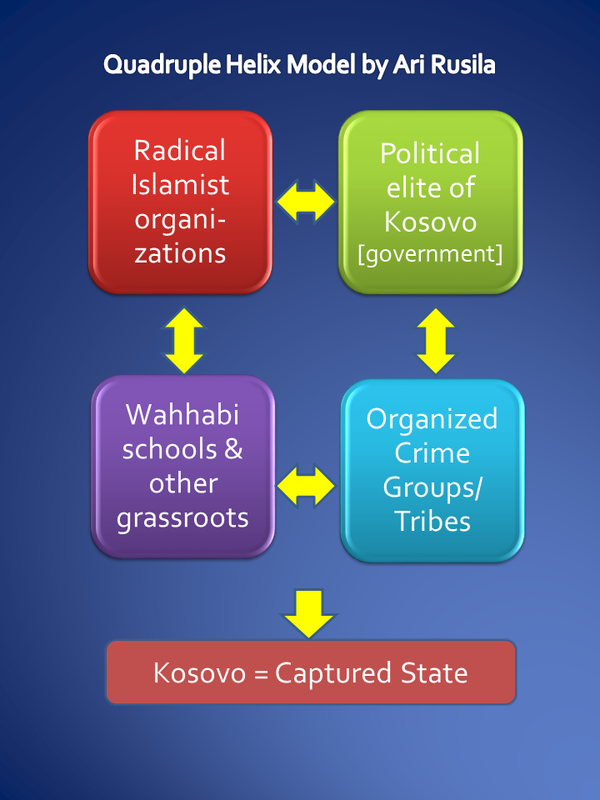 (More in Terrorism in Macedonia Wasn’t An Isolated Act! ). For Eastern Europe there is also a project called Eastring will bring gas from Azerbaijan, Turkmenistan, Iraq, Cyprus and Russia and will provide reverse deliveries from the gas hubs in Western Europe. This is actually a step towards the creation of a vertical gas corridor which is particularly valuable to Bulgaria. Eastring would connect infrastructure in Slovakia to Romania and Bulgaria. Slovakia has taken the lead on the project and even suggested connecting to Turk Stream. Bratislava wants to be part of Gazprom’s plans to diversify transit options away from Ukraine because Slovakia is the critical link between pipelines in Ukraine and central Europe. The Slovakian company Eustream’s gas pipeline, expected to deliver gas to countries in the Balkans, and Gazprom’s Turkish Stream will be complementary projects, Eustream’s international development and public affairs head told RIA Novosti [on Feb. 2015]. Eustream’s Eastring pipeline will run from Bulgaria to Romania and then, via Hungary or Ukraine, to Slovakia. Its planned capacity will be from 20 billion to 40 billion cubic meters per year and project partners are Eustream, Transgaz and Bulgartransgaz. Aside from production, the transportation of crude oil, natural gas and petroleum products is of paramount concern for oil-producing nations. For energy consumers, transit routes are necessary lifelines. A huge amount of the world’s energy is transited through pipelines, across the Eurasian landmass in particular. Natural gas has limited and expensive transport options. As a result, natural gas pipelines are constantly used as tool of the political pressure and bargaining. One of the most notable battlefields is the European continent, where Russia has exerted its influence through an intricate network of pipelines. There is a strategic cooperation in the energy sector between EU and Russia as Russia is still the primary supplier of the EU’s hydrocarbon resources, providing 42% of its imported gas and 33% of its imported oil (2013). In addition due global warming the EU want to increase the share of renewable resources and natural gas in their consumption patterns. Russia’s bad relations with the West and Ukraine have created the need to Russia to rearrange its energy policy. From the Russia’s point of view Turkey, as a regional power with its independent policies, e.g. when deciding not to partake in the Western sanctions against Russia due to the Ukraine Crisis, is a more reliable partner than other alternatives. Cooperation between these two regional powers on issues related to Caucasia and Central Asia would generate mutual benefits so indeed the Ukraine Crisis may have paved the way for a new form of cooperation in Russian-Turkish relations. The Continent has also taken steps to build a regulatory environment conducive to the new energy market it envisions. The Third Energy Package has played a key role in coordinating the European energy market and eroding monopolistic tendencies plaguing the natural gas networks. Among other things, the package’s regulations prevent pipeline operators from supplying natural gas and prevent suppliers from operating the pipelines. These rules have blocked Gazprom from owning or heavily investing in any European pipelines, with a few notable exceptions, such as the Ostsee-Pipeline-Anbindungsleitung pipeline. Europe has applied equal scrutiny to deals involving non-Russian companies, including Azerbaijani national oil company SOCAR’s proposed purchase of Greek pipeline operator DESFA. The Gapzrom-led Turk(ish) Stream pipeline project has stalled as negotiations between Russia and Turkey on gas pricing have broken down. 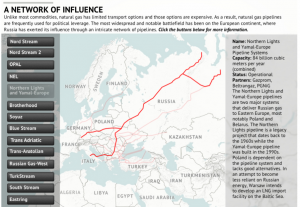 On July 2015 the Russian Energy Ministry sent to Ankara two versions of an intergovernmental agreement on the Turkish Stream gas pipeline, proposing to construct either one or all four planned strings. The technical director of South Stream Transport B.V. Andrey Fick has been appointed as general director of the company in charge of construction of the Russia-owned Turkish Stream gas pipeline, Russian energy giant Gazprom announced in its statement, April 2015. Related to The Environmental Impact Assessment (EIA), the Project benefits from the data available from the extensive surveying and approved EIA, and Environmental and Social Impact Assessment (ESIA) in accordance with international financing standards, conducted for the South Stream Offshore Pipeline project. The EIA and permitting process for the Turkish portion of the offshore pipeline is divided into two parts. 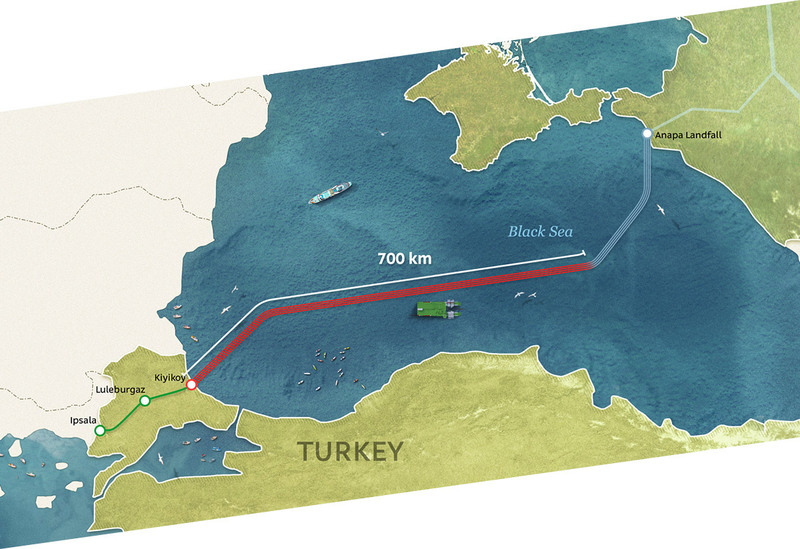 South Stream Transport is conducting an EIA for the portion of the pipeline from the border of the Turkish and Bulgarian Exclusive Economic Zone (EEZ) to the Turkish coastline, with a length of approximately 275 km. For the remainder of the offshore route, the EIA was already approved in 2014 in the context of the South Stream Offshore Project. Gazprom has asserted several times that it will cut off gas transits through Ukraine by the end of the decade. The current alternative routes (Nord Stream + Belarus), however, only present a capacity of 86.5 bcm per year. To maintain the current level of Russia’s exports (119 bcm in 2014) at least 35 bcm of additional pipeline capacity would be needed. Turk Stream as well South Stream, would enhance the Continent’s energy security because it would enable natural gas flows to Europe to continue uninterrupted in the event of a fallout between Ukraine and Russia. The pipeline project would also incentivize European Union-based companies to invest in infrastructure in Southeastern Europe, integrating countries such as Romania and Bulgaria, into the more mature natural gas markets in Central Europe. New infrastructure for Turk Stream could also eventually carry Iranian or Central Asian natural gas to Europe. Due political reasons USA and EU probably are not very pleased nor active with Turk Stream, they maybe are tolerating the project so long as Russia adheres to the Third Energy Package and finalized Energy Union Package rules restricting Russian control over the Turk Stream project. more about Alexander and his activity. Israel Prime Minister’s Office gave following statement on 18th Aug. 2015: “Israel would like to officially clarify that it is not holding any meetings with Hamas, neither directly, nor via other countries, nor via intermediaries.” However – in addition to rumours described in my April 2015 article Gaza State Under Construction, West Bank Remains Bystander – the original sources of last developments have been a Turkish official, few days earlier, it was a “knowledgeable source” in the Israeli defense establishment and before that, it was a U.S. State Department official. All confirmed that Israel and Hamas are discussing a long-term cease-fire deal. Already in April it was estimated that official representatives of the Israeli government and defense establishment have been holding a real dialogue even months with the Islamic terrorist group – Hamas – in a bid to reach a long-term calm on the Gaza border. These secret talks have been “partly direct” and partly through Qatari and European mediators. This information was based on an YNet article. In an interview- according The Times of Israel – with Hamas daily al-Resalah, Yasin Aktay, an adviser to Turkish Prime Minister Ahmet Davutoglu and deputy chairman of the ruling Justice and Development Party, said that Hamas’s political leader Khaled Mashaal came to Ankara last week to update the Turkish leadership on the details of an agreement reached with Israel. According Israel Hayom [18th Aug. 2015] Hamas officials told Arab media outlets that significant progress had been made in recent talks in Qatar between Hamas leader Khaled Mashaal and former Middle East Quartet envoy Tony Blair about the possibility of a long-term truce deal. 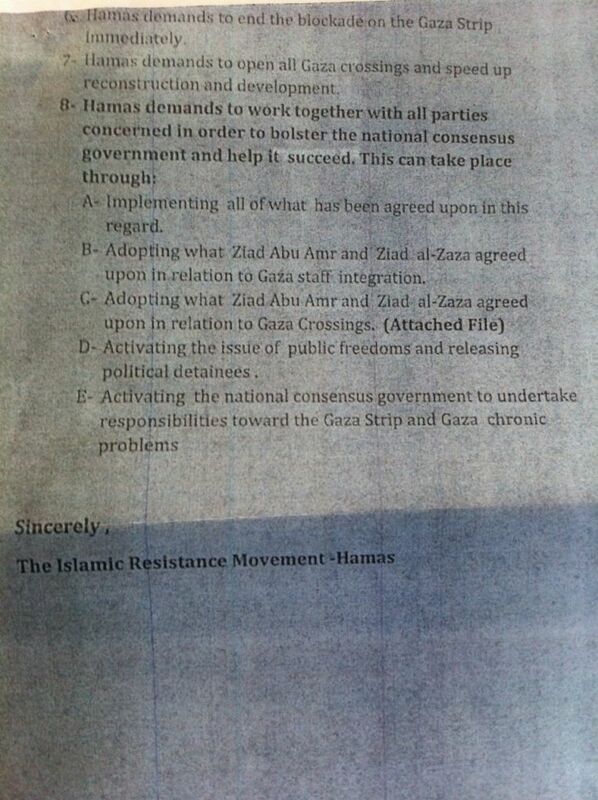 Reports also cited a Turkish official as saying progress had been made toward such a deal between Israel and Hamas. According to the official, the deal would include the lifting of the blockade on Gaza. According to the reports, Gaza will be allowed to import merchandise through a “floating port” located 3 kilometers (1.8 miles) off the coast. An intermediary port will be established in Cyprus, where all Gaza-bound merchandise will be scrutinized by NATO representatives. Meanwhile, progress has been made in reconciliation talks between Israel and Turkey yet differences remain on several issues, the London-based Asharq Al-Awsat newspaper reported on Tuesday. The report quoted a Turkish Foreign Ministry official as saying that Israel had agreed to significantly ease the blockade on Gaza — which has been one of Turkey’s demands in the reconciliation talks. According to Hamas daily al-Resalah, Israel would like to see a larger package deal that would include the exchange of “live and dead Israeli prisoners” held by Hamas — likely a reference to Ethiopian-Israeli citizen Avraham Abere Mengistu and a Bedouin man who both entered the Gaza Strip voluntarily, as well as the remains of Israeli soldiers killed during Operation Protective Edge last summer — in return for Hamas prisoners jailed by Israel. Israeli Arabic-language website al-Masdar reported on 16th Aug. 2015 that Hamas’s leadership held a meeting in Gaza on 14th Aug. 2015, specifying the deal’s details. According to al-Masdar’s unnamed Hamas source, Israel has also agreed to allow in thousands of Gazan day laborers through the Erez crossing in return for Hamas’s agreement to stop launching rockets into Israel and digging subterranean attack tunnels underneath the border for a period of at least eight years. 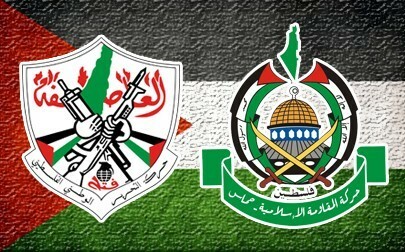 Hamas’s Shura Council, the movement’s highest deliberative body, endorsed the agreement following a three-hour debate. The reported agreement is opposed by the PLO because it wasn’t consulted, and because it would “eventually detach Gaza completely from the West Bank and Jerusalem,” said one Fatah figure. Hamas officials, headed by Hamas leader Ismail Haniyeh, have been dispatched to Egypt, Qatar, and Turkey to discuss the deal. But the agreement is facing domestic opposition from without, as Palestinian factions consider it a potential danger to the political unity of Gaza and the West Bank as stipulated by the Oslo Accords. The eight-year split between Fatah and Hamas aka the Islamic Resistance Movement has cut off Gaza and its 1.7 million people from the West Bank and e.g from negotiating efforts; instead Hamas has implemented few military campaigns against Israel and Gaza still suffers from the last conflict Summer 2014. According Jerusalem Post Hamas in April 2015 was negotiating with Israel on Palestinian state in Gaza. The Palestinian officials have claimed that Hamas was negotiating with Israel about its plan to turn the Gaza Strip into a separate Palestinian entity. From point of view of Fatah/PLO Israel wants to divide the Palestinian people and turn the Palestinian territories into separate entities and cantons. 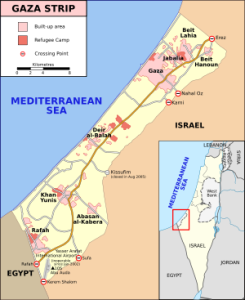 The idea of establishing a Palestinian state only in the Gaza Strip was first raised by late Prime Minister Yitzhak Rabin in 1988; it is also claimed that the late Prime Minister Ariel Sharon proposed the idea about 10 years ago, when he decided to withdraw from the Gaza Strip. 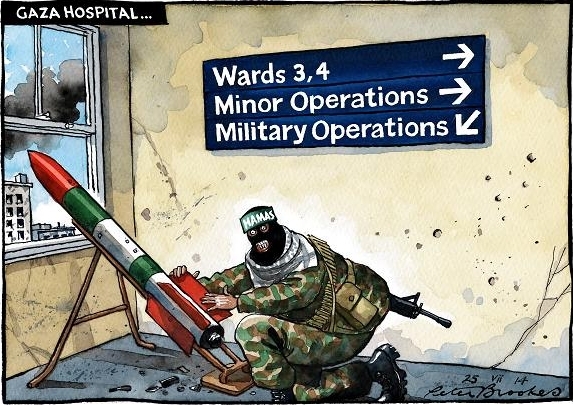 Hamas is consolidating its grip over the Gaza Strip and making plans to turn it into a separate state. Palestinian Authority leader Mahmoud Abbas and Fatah consider the purported plan a “severe blow” to the two-state solution and unity among Palestinians. As the U.S. Administration and the international community continue to push for a two-state solution between Israel and the Palestinians, Hamas seems to be working toward establishing an independent state of its own in the Gaza Strip. It might be that the international community must define their two-state solution with new content including two Palestinian state – one Islamist emirate in the Gaza Strip and an other Fatah-controlled wannabe state in the West Bank. Earlier on April 2015 in my article Gaza State Under Construction, West Bank Remains Bystander I estimated that this possible deal between Hamas and Israel has a risk that internal disagreements between Hamas’ political and military wings could endanger it. Ezzedeen Al-Qassam Brigades might take advantage of instability within the Hamas to carry out attacks on the border with Israel without getting a green light from Hamas’ political leaders. Struggle inside Hamas is not the only battlefield in Gaza. A group calling itself Supporters of the Islamic State in Jerusalem has continued to challenge the Gaza-ruling Palestinian entity Hamas. I still consider a two-state solution be possible. The final status agreement has been very close at least since Beilin-Abu Mazen understandings / agreement / plan (1995) where nearly all issues were agreed. The Olmert proposal (2008) was probably the last serious try (both plans can be found from my document library ) If however it can’t be negotiated so there is possibilities to make regional solution; I for example have long propagated the idea of the “Three-State-(return) Option” ( e.g. in ”The Three-State Option could solve Gaza Conflict” ). 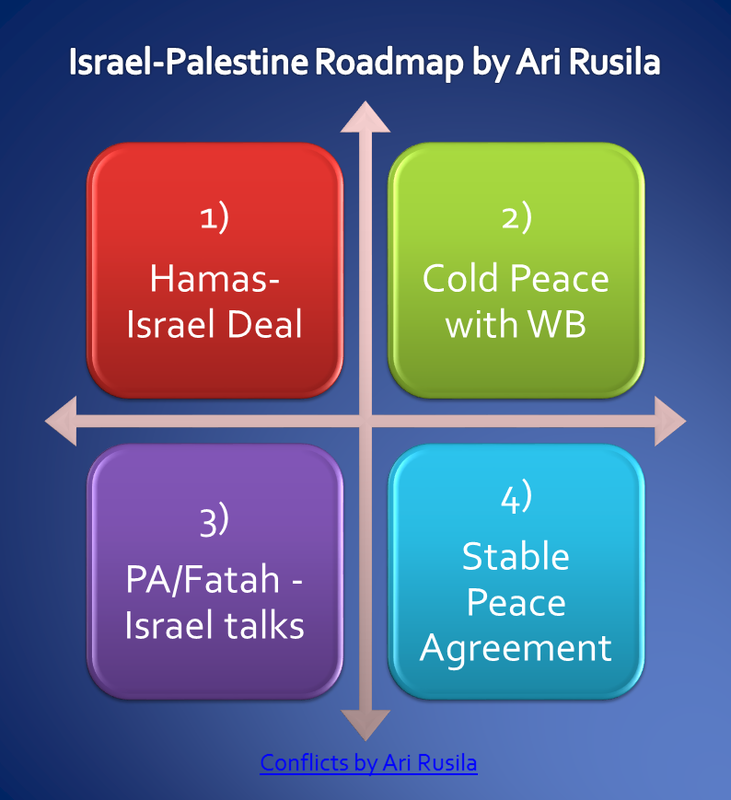 Also – if two-state solution is de facto cul-de-sac and if there is no readiness to regional solution so a unilateral ‘Cold Peace solution’ from my perspective is the best option especially if Hamas-Israel Deal will come true. Israel could independently implement a ‘Cold Peace Solution’, a minimal level of peace relations, to ensure its character as a Jewish and democratic state, by fixing a border between Israel and a future Palestinian state in the West Bank unilaterally. 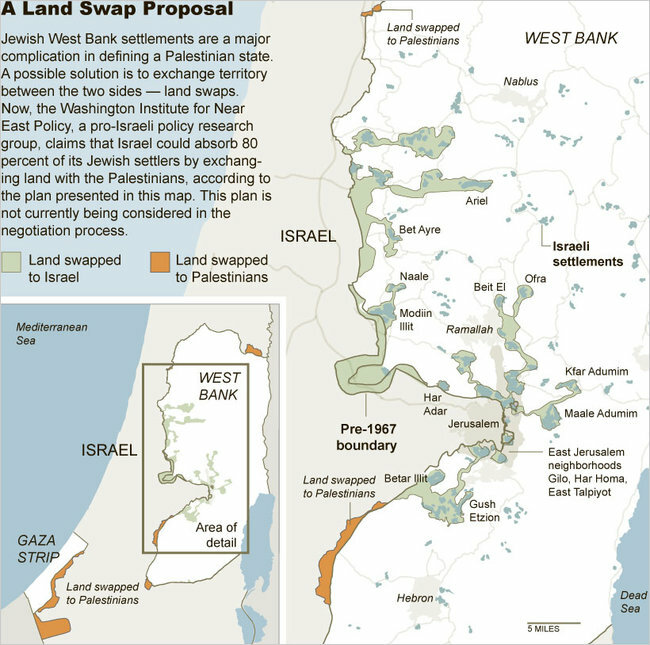 Creating a reality of two states for two peoples by separation into two nation states would be based on voluntary Israeli concession of territories outside of the large with Israel on the route of a permanent border on the basis of agreed-upon land swaps or independently in case negotiations does not take place. In the event that negotiations are not renewed, the temporary border will become permanent. As long as there is no agreement, the IDF and Israel would retain control of the outer borders and surrounding areas of the territories to be evacuated by Israelis who would be resettled within the state’s temporary borders. 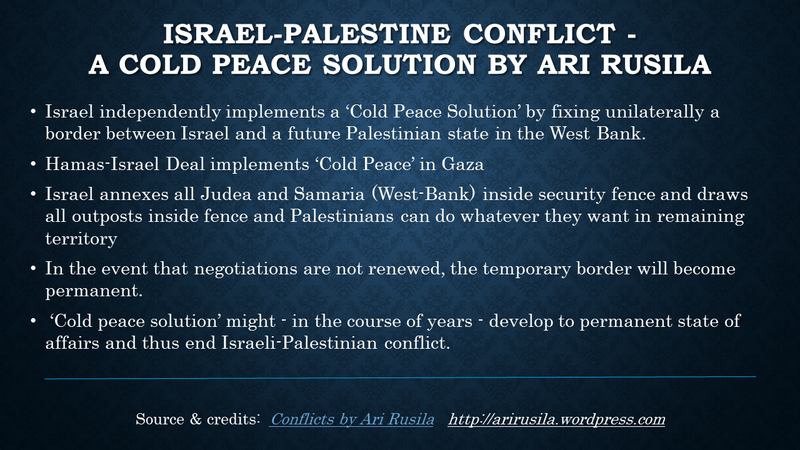 This kind of unilateral “cold peace” solution – that Israel annexes all Judea and Samaria (West-Bank) inside security fence and draws all outposts inside fence and Palestinians can do whatever they want in remaining territory – in my opinion might – in the course of years – develop to permanent state of affairs and thus end Israeli-Palestinian conflict. An example could be the peace treaty between Egypt and Israel signed in 1979 which most Egyptians view as a cold peace; retrospectively not so bad deal anyway. 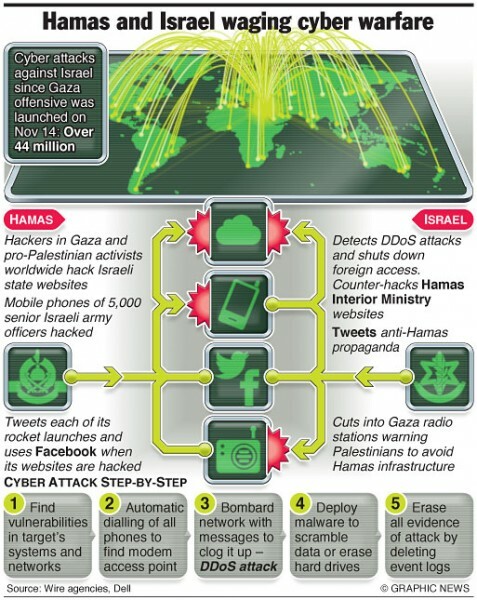 The Israel Defense Force (IDF) Chief of Staff Gadi Eizenkot published on 13th August 2015 a document outlining IDF strategy, including the threats facing Israel and plans to combat them. This is first time- in 60 years – since 1950s when Israeli PM David Ben-Gurion accepted military defense strategy of Israel. The definition of the “enemy” has also been altered. As the threat of an all-out war against another state or several other states is on the decline, the document redefines the main threat as coming from military organizations like Hamas and Hezbollah or terror organizations that are not affiliated with any one country, like global jihad and the Islamic State. 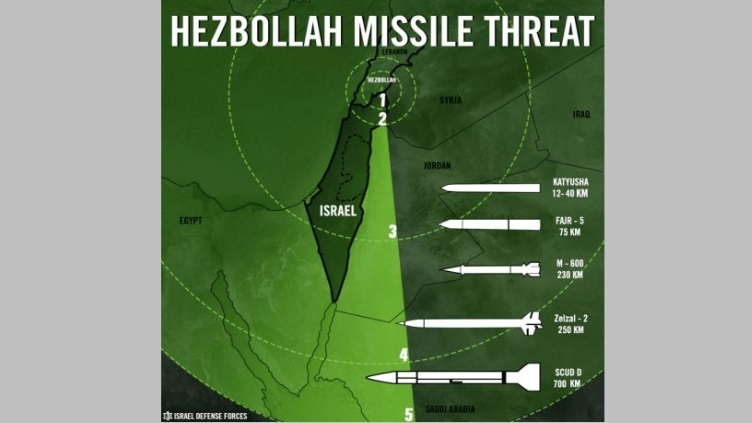 The Iranian nuclear threat, which is presented by the political leadership as the biggest existential threat Israel is facing, is not mentioned – possibly because the army’s strategy on that issue is too classified to appear in a public document, or because the agreement signed between Iran and world powers is seen as mitigating the threat. Other changes which the document recommends are an improvement in the effectiveness of ground manoeuvres, diversifying operational capabilities in order to tackle specific operations rather than all-out war or conflict and the need to maintain intelligence, aerial and naval superiority in the region. Because of that, the IDF will favor fighting with smaller forces that can maneuver quickly and easily between different fronts, over large and stationary forces. “The basic assumption is that the enemy cannot be defeated with defensive fighting, so an offense is required to achieve clear military results,” the document states. Another important tier of the new strategy, put on paper officially for the first time, is the need to “reduce civilian, border-adjacent vulnerabilities,” in a manner that would see the IDF evacuate communities that would be placed under imminent danger by the fighting. It is believed the latter was one of the conclusions drawn from 2014’s Operation Protective Edge, during which there was no organized evacuation of the communities adjacent to the Israel-Gaza Strip border. It was not a hallucination when Israelis living in Gaza border area were hearing some digging sounds. In July 2015 the Shin Bet [aka The Israel Security Agency/ISA aka Shabak] with Israeli Police arrested a Hamas operative Ibrahim Adel Shehadeh Shaer – a tunnel digger in the group’s armed wing. According Israel Hayom the man was detained for questioning and he proceeded to provide interrogators with valuable information about the terrorist organization’s extensive digging plans and the location of new tunnel access points. The Shin Bet said that Shaer provided significant details about Hamas’ tunnels in the Rafah area, including the areas where digging was taking place, the location of entrance and exit points to tunnels, the identities of other tunnel diggers and the routes of the tunnels. Shaer also told interrogators that to sustain its military infrastructure, Hamas diverts resources and materials delivered to Gaza within the framework of rehabilitation efforts. According to Shaer, Hamas fighters store explosives in residential homes, in accordance with directives from the group’s commanders, who are concerned that traditional military warehouses will be bombed. 1) Shaer confirms suspicions made earlier that the donor aid for Gaza reconstruction activities is more or less used to dig [attack] tunnels. Western mainstream media has accused so far Israel and imaginary Gaza blockade about slow reconstruction process. 2) Hamas is still locating war materials in the middle of civilian buildings; if and when Israel during next Gaza conflict destroys these storages one can expect some civilian deaths and blaming only Israel for war crimes. 3) Despite of capasity building efforts for decades of Western international community to develop administration and facilities of dreamed Palestinian state is the outcome modest at best. 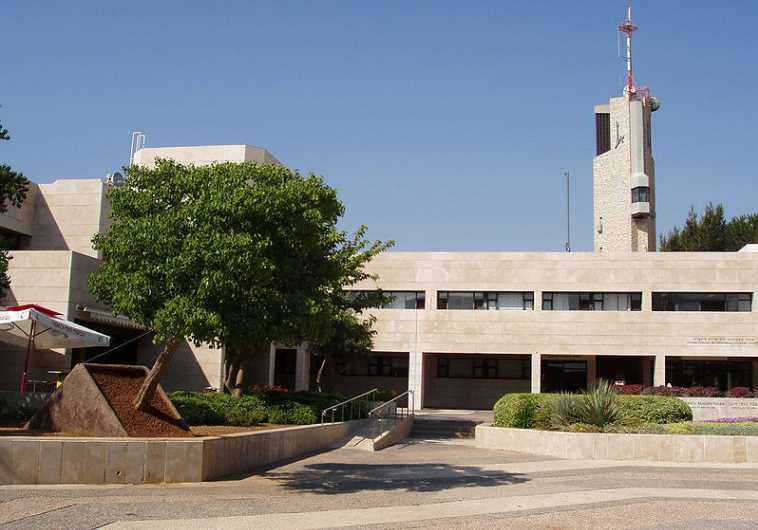 In Western media many times Israel get the blame for this; a better address could be some inside aspects – such as corruption, misconduct and political elite making money at people’s expence – of Palestinian Authority. 4) As consequence tens of billions USD aid, which was intended to give good public services for people disappears on the way to beneficiaries. 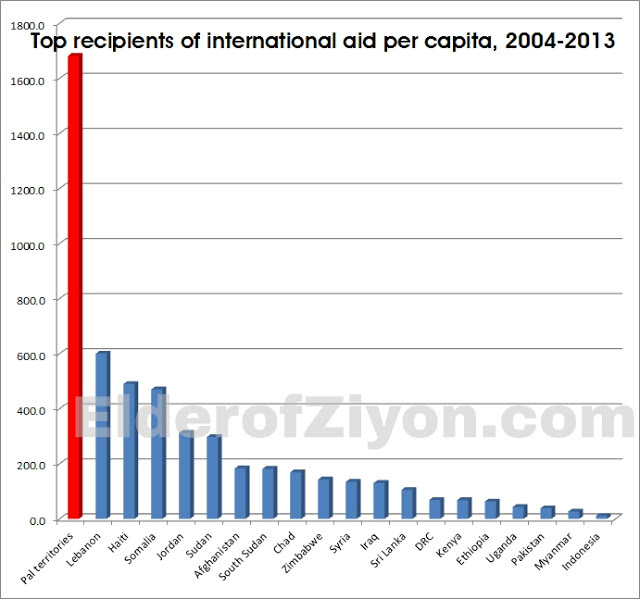 5) The fact that Palestinian Authority can not make a negotiated peace deal with Israel might be caused by interests of the political elite of the PA and some donor agencies; chaotic situation has its benefits as the international aid flows with minimal transparency. came from individual European countries, Japan, Australia, and Canada. The salaries are usually far higher than the West Bank average wage of $533/month and sometimes higher than those of any other civil servants. The average monthly salary paid to terrorists was 3,129 shekels ($850) in 2012 while the average salary for civil servants was 2,882 shekels, ($783), and for Palestinian military personnel it was 2,704 shekels ( $734). In 2011, The PA announced the following wages and stipulated that they would be linked to the cost of living index. •All security prisoners get a base salary of 1400 shekels ($400) per month. •Terrorists sentenced to 3-5 years get 2,000 shekels ($560) per month. •Terrorists sentenced to 5-10 years get 4,000 shekels ($1,100) per month. •Terrorists sentenced to 10-15 years get 6,000 shekels ($1,690) per month. 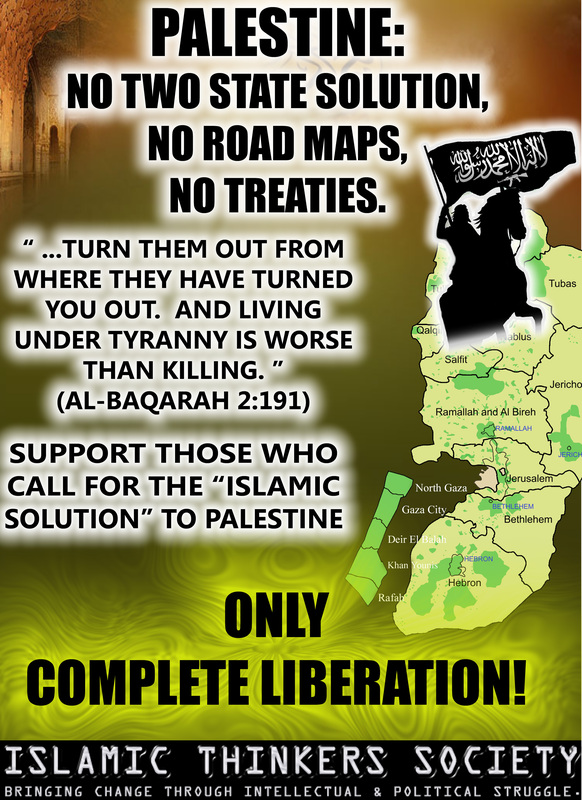 •Terrorists sentenced to 15-20 years get 7,000 shekels ($2,000) per month. •Terrorists sentenced to 20-25 years get 8,000 shekels ($2,250) per month. •Terrorists sentenced to 25-30 years get 10,000 shekels ($2,800) per month. •The worst offenders, those who commit mass murder, get the top wage of 12,000 shekels ($3,400) per month—up to 10 times more than the average pay. •Released prisoners receive the status of a deputy minister or the rank of major-general in the PA security forces – both worth a monthly stipend of NIS 14,000 ($4,000). •In 2013, four thousand released Palestinian prisoners received monthly salaries although many of them were able-bodied men who could work. Israel’s Investigation of Alleged Violations of the Law of Armed Conflict. Earlier in July 2013, Iranian film director Mohsen Makhmalbaf, an Iranian film maker and member of the Iranian political opposition who has won some 50 awards, visited Israel as a guest of honor at the Jerusalem Film Festival. He received an award for his efforts to promote freedom and democracy in Iran and hosted a film screening of his recent film The Gardener – a film that explores the Bahai community in Israel. The Gardener is the first Iranian film since the 1979 Iranian Revolution to be filmed within Israel. A number of his other films were also highlighted at the Jerusalem Film Festival. Crowds of Israelis honored him with standing ovations. Makhmalbaf was the first high-profile Iranian artist and former revolutionary to visit the Jewish state since the 1979 Islamic Revolution in Iran. Happily the Jerusalem Film Festival was not an isolated case. At grassroots there has been at least since 2012 a movement labelled as ”Israel loves Iran/Iran loves Israel”. It is a line of communication between the people of Israel and Iran – a bridge in the Middle East between the people. The mission of this mostly virtual group is to break the wall of fear, built a bridge of communication as war happens where there is no communication. ”And the only thing we can do…is communicate. Get the lines open. That’s hope…and that’s easy. Because of the internet” says in their mission statement. At grass-roots one of the activity was when 70 buses rode the streets of Tel Aviv carrying message for peace. 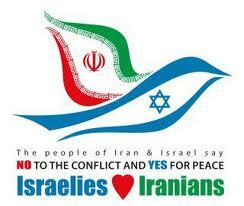 Israel loves Iran Facebook community can be found from here! It could be mentioned that today the figure of Jews in Iran is some 8.000-25.000. There might be discrimination of Jews in Iran but on the other hand Jews in Iran are formally to be treated equally and free to practice their religion. 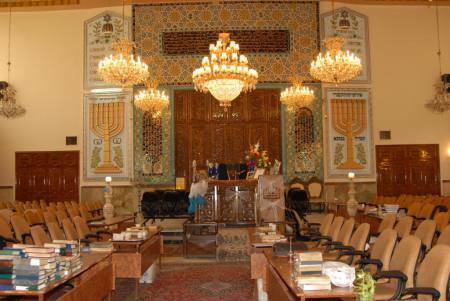 Iran’s Jewish community is officially recognized as a religious minority group by the government, and there is even a seat in the Iranian parliament reserved for the representative of the Iranian Jews. 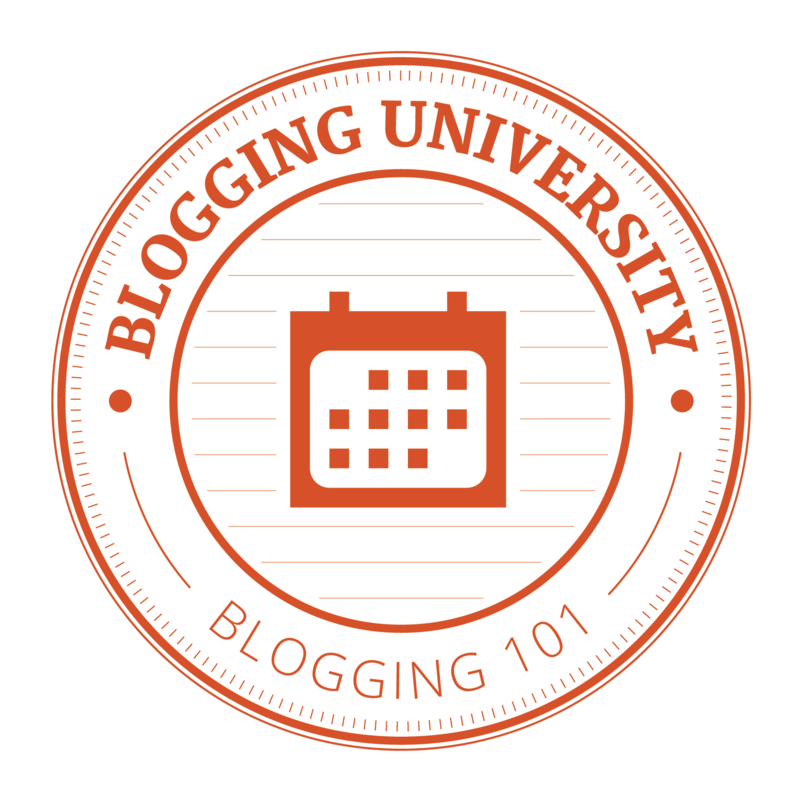 You are currently browsing the Conflicts by Ari Rusila blog archives for August, 2015.